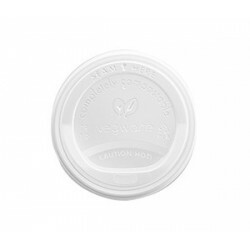 Your compostable Planet range of cups will feel under-dressed without these must-have compostable lids. Our Planet range of lids are biodegradable being made of PLA. Why choose PLA over regular plastic? The huge benefit of PLA as a bioplastic is its versatility and the fact that it naturally degrades when exposed to the environment.